To go to CD2 click here. 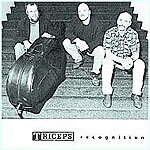 Triceps originated from the mind of pianist Bart Flos. 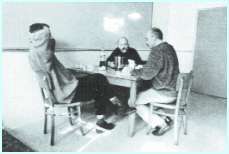 After a period of wandering, mainly in jazzmusic, the idea arose to form a trio in order to develop his capacities as a soloist and a composer. 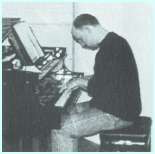 Bart is a composer in the bebop-style with a characteristic notion and timbre. To lead a trio musically is of course a more arduous task than having a supportive role in a big band, yet it contains a great amount of challenge. Bart became the kind of soloist who doesn’t need to prove himself by making a lot of notes and technical tricks. On the contrary, his forte is making solos which are quite easy to follow and which create a musical picture. They are gratifiying to the ear and he leaves a lot of space to the bass and the drums. Bass player Wiecher van Vugt has developed musically in an interesting way over the last few years. He is improving in founding a piece. He keeps looking for new combinations with the piano-chords. This interaction is very obvious on this album. Over and above that he shows that he is ready for playing good solos on the bass. And just like Bart, he does not feel the need to perform with a great technical skill, he rather shows basic feeling. A solo on the bass is like a convesation between Wiecher and his instrument within the space of the composition. By the way, he plays on one of the first electro-acoustic basses made by Stud, in the Netherlands. 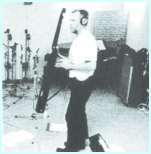 The drums of Cees van Rooden clearly are recorded as he likes to hear them himself: completely acoustic and not muted. On this album he is quite in his element. He expresses this in subtle play with brushes and many beautiful accents on the cymbals. 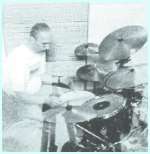 In the drum-solo in “Wild flower” he shows that he belongs to the category of melodic drummers. His way of playing is obviously inspired by Joe Morello, one of his favourite drummers. Bart plays Boston/Steinway Grand Piano. Wiecher plays Electric Upright Stud-bass. Cees performs on Acoustic Premier drums, Zildjian Cymbals and VIC firth sticks.